Made from Mikaella Lace and our new Crêpe, Style 2053 offers a chic and playful look for your wedding day. This cropped lace top is finished with a beateau neckline and cap sleeves. We’ve paird it with a high-waisted fit and flare crêpe skirt with multiple eye-catching shaped seams in back. 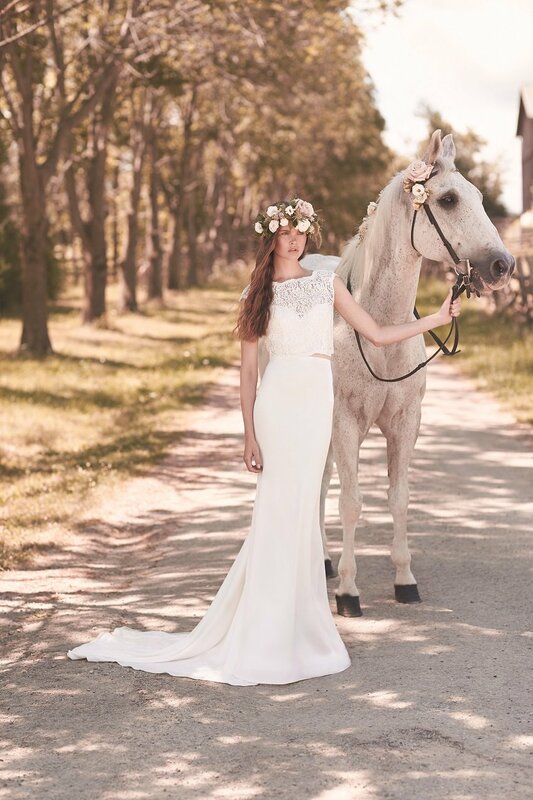 Can you picture yourself saying your vows in this wedding dress? Let us know in the comments below what you love the most about this new style! Be sure to check back next week as we feature another dress from our Spring 2016 Collection. To view the entire collection.